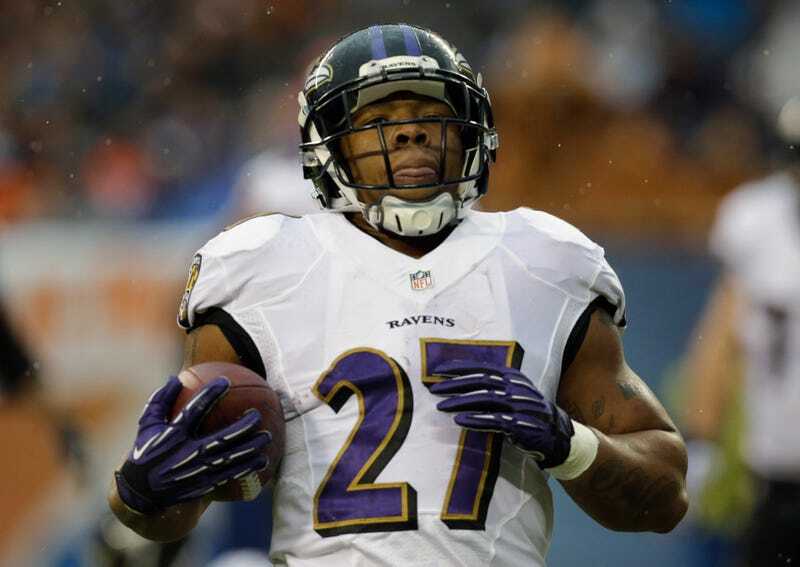 Baltimore Ravens running back Ray Rice was reportedly involved in a domestic dispute and arrested early Saturday morning at Revel, an entertainment resort in Atlantic City, N.J., in an incident that a tipster claims was more violent than his camp is letting on. The Baltimore Sun broke the story that Rice had been arrested, charged, and released. His attorney, Andrew Alperstein, claimed that Rice's fiancée had also been arrested in connection with the incident, which he described as a "very minor physical altercation." That may be so; Atlantic City police aren't returning calls on the matter right now and the casino declined to comment on the incident. According to our tipster, though, word at the Revel early Saturday morning was that a woman—presumably the fiancée—had spit on Rice and that in retaliation, he uppercut her, knocking her completely unconscious. Rice's camp hasn't, as yet, returned requests for comment; we'll update if they do. Have more details? Email us at tips@deadspin.com. Update #2: Some photos from a tipster, taken earlier in the night. The tipster said Rice was with his fiancée and another couple, and the group "seemed to be in good spirits." On Saturday February 15, 2014 at 2:51am Atlantic City Police responded to Revel Casino for a domestic dispute. Uniformed Officer Cuong Sam and Officer Bryon Hargis met Revel Security at the porte-cochere and were escorted to both parties involved in the incident. The male and female involved were identified as Raymell Rice and Janay A. Palmer. After reviewing surveillance footage it appeared both parties were involved in a physical altercation. The complaint summons indicates that both Rich [sic] and Palmer struck each other with their hands. The responding officer signed a simple assault complaint against both Rice and Palmer. Both Ms. Palmer and Mr. Rice refused any medical attention as no injuries were reported by either party. The couple were transported to the Atlantic City Police Department holding facility and charged with Simple Assault-Domestic Violence. They were both released on a summons to appear in court. Update #4: A witness who saw the altercation at Revel claimed that Rice hit Palmer "like he punched a guy, knocked down and dragged her out of the elevator by his feet" before security arrived. The witness characterized the dispute as more than a "minor incident."